New Shop — Peacesake Candles & Co. Calm never smelled better with this candle's top notes of relaxing lavender and base notes of birch blended to give you the soothing satisfaction you deserve. Relax and unwind with this exotic scent of amber and vanilla with undertones of musk and sandalwood. Treat your senses to a scent Nirvana with this candles' tantalizing blend of nag champa, sandalwood, and hints of citrus. 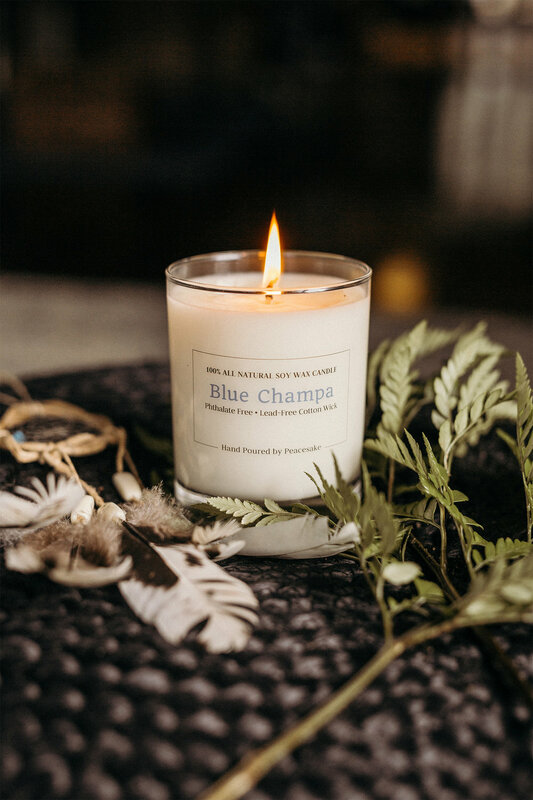 Enjoy this candles' transformation from white to blue as the nag champa oil reacts naturally with soy wax.